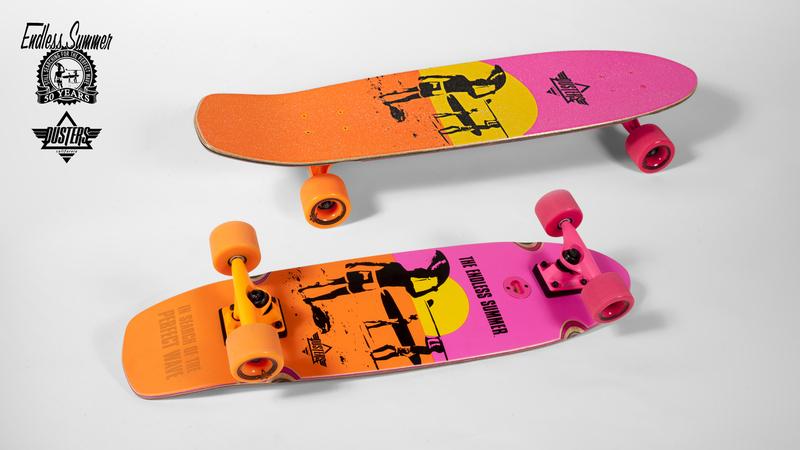 The Endless Summer is one of my all-time favorite movies, so I never quite get tired of seeing product inspired by the film despite its ubiquity. To commemorate its 50th anniversary, Dusters partnered with Bruce Brown, the film’s director, on a vibrant set of completes. Take your pick between the cruiser and longboard. Plus, both come with inlaid bottle openers – neat touch.